I went to The Bahamas on my first family cruise and my parents actually went there on their honeymoon. I remember their stories of the Freeport beaches and neighboring islands as well as our own experience of a dip in the pool at The Atlantis, shopping in Nassau, and sharing the magic of the island culture. The Bahamas was one of my first island experiences and it definitely didn’t disappoint. Complete with delightful people, friendly attitudes, beautiful beaches, and weather that was better than we could have imagined, The Bahamas kept my beach heart happy and my travel soul fulfilled. As with any other destination, you can find yourself feeling like a tourist or embracing the role of traveling adventurer. If you’re cruising, maybe try to head further from the ports and get access beyond the gates to the true islands. If you’re flying in and staying at a grand resort, give yourself some time to wander a bit further from the edges of the property to check out life lived as a local. Ditch the guidebooks and go rogue – you’re bound to find even more beautiful beaches, genuine people, and delicious eats. The islands are always open, always welcoming, and always waiting for you; when do you want to go? As a kid, I remember going on school holidays – you know, the busiest and most crowded time of year. 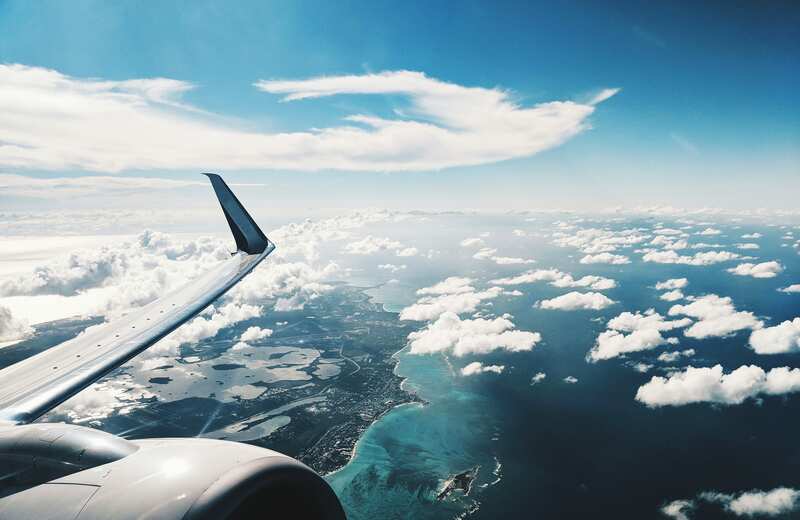 Some travelers risk the hurricane season and visit in summer where they enjoy blue skies, lower prices, and no need for advanced dinner reservations. 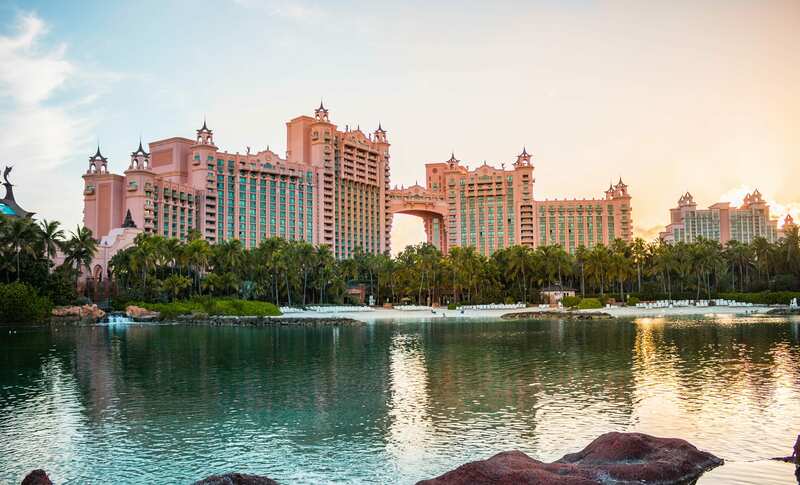 Whether you’re running from the winter doldrums or adding Caribbean delight to your already warm summer, there’s never a bad time to visit The Bahamas… except when you cross paths with a hurricane. They’re rare, but they happen. For the most part, the Bahamian dollar remains on par with US dollar and both are welcome and accepted interchangeably on all islands. Most major credit cards, and even traveler’s checks, are accepted and ATM machines/banks are readily available. Perhaps you’ve left room in your travel backpack and want to take home some souvenirs. Hit some of the craft markets and specialty shops, or troll through the street stalls to your heart’s content. Most of the large islands have tech gear like cameras, telescopes, and binoculars amongst their wares. In the bigger centers you’ll find high-end items like crystal and porcelain, watches and jewels, as well as luxury items like perfume, leather goods, and assorted alcohol. Expect a savings of about 25-50% compared to US prices. 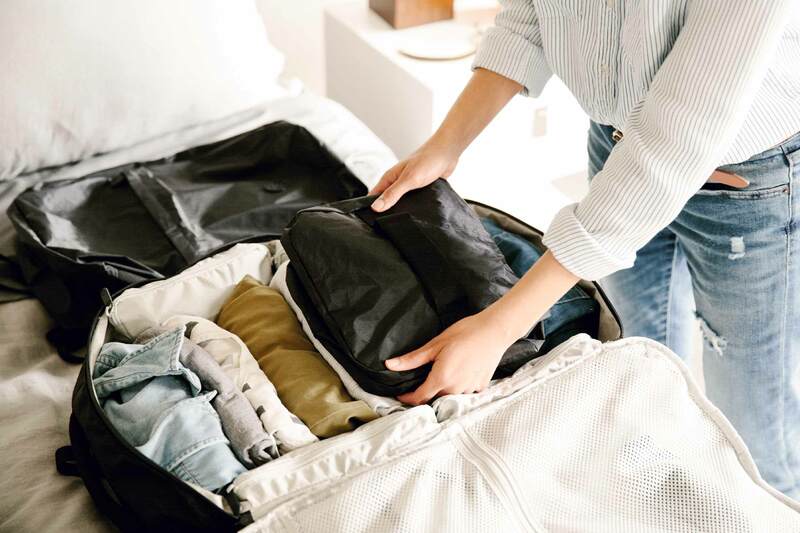 Many of the hotels, restaurants and casinos require jackets for men at night and a slightly more upscale ensemble for women – especially those in Nassau or Paradise Island and Freeport – take your evenings into consideration when packing! Consider upgrading to a heels or dressier sandals if nights on the town are on your itinerary. 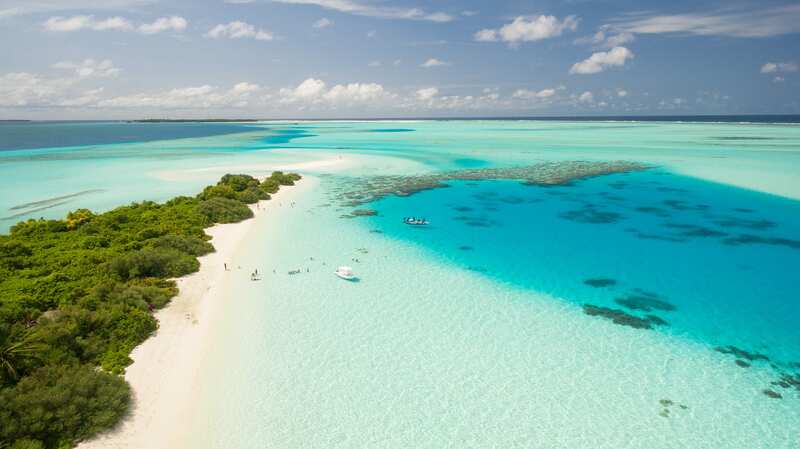 Paddle boarding, snorkeling and swimming with animals might well be on your itinerary. In The Bahamas, you can swim with stingrays, dolphins, turtles and even pigs. A swimshirt or rash guard might be in order. Beach, pool, watersports, shopping, cocktails, casinos and nightlife – these are the things at the forefront of your mind when planning your Bahamas adventure, probably not toiletries. Everything you need is available in The Bahamas and you can always pick up whatever you forget. Rely on hotel freebies, but pack your few favorites in those small containers, fling them in your bag and you’re on your way! Those trendy shades, the quintessential hat, and an Instagram worthy necklace can change your day wear to evening wear in the blink of an eye. Whether you’re getting your glam on at Atlantis, reading the perfect magazine during a gorgeous sunset, or keeping wrinkles at bay beneath a stylish hat, those accessories are certainly worth it. Inter-island flight tip: The planes that fly between the islands can be very tiny. Consider taking only a daypack or small duffle if you’re island hopping, and save yourself the baggage fees. How much room does your swimsuit assortment really take up? Even when we’re on vacation, most of us still bring our digital lives with us wherever we go. Whether you’re attending an international work retreat, or just keeping up with the news and your social media from your beach chair, you’re bound to have your tech gear and you want it to work when you need it. Electrical outlets in The Bahamas are compatible with most American devices at 120 volts. If your gear comes from somewhere else in the world, consider an adapter and converter to give your gear the juice it needs. No one wants to be sick on their travel journey. Whether you’re there for business, pleasure, or a little bit of both, keep yourself as healthy as possible with your own wellness regimen. Stay hydrated, eat healthy, and get that much needed vitamin D. But, if after all of your efforts, the travel yuck still hits – it’s best to be prepared with a few essentials of your own. Since we’re always trying to pack as much as possible into each visit to a new spot, take a moment to make your list, check it twice, and leave room for spontaneous excursions. Packing light will make your travel, and your whole trip more enjoyable. The Bahamas offers the novelty of island culture, natural sights, gorgeous beaches, animal friends, and nightlife aplenty. Whether you’re shopping the straw markets in Nassau, getting your festival on at Junkanoo, or letting it ride amidst the tables in Atlantis, you’re bound to be bit by the island vibe and leave ready to return soon. See you on the sand! If your journey is between June and November, bring a poncho and book travel insurance!